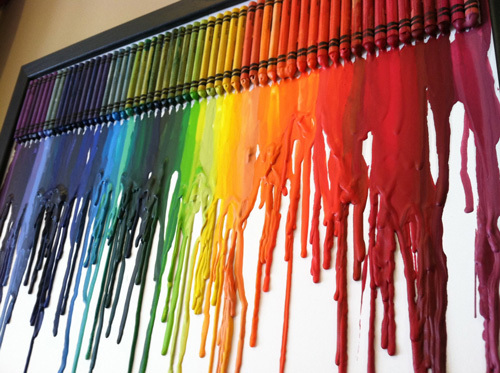 Melted crayon canvases are popping up all over the place. This beautiful one from JK Create is the first one I remember seeing pinned on Pinterest. You should check out all of the amazing pieces she sells on Etsy. 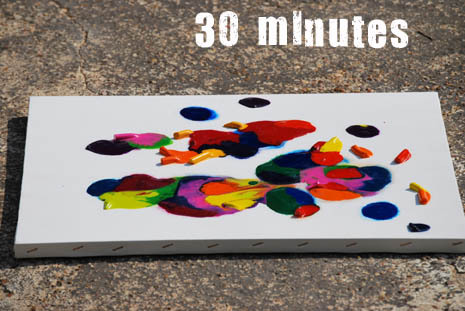 So it got me thinking about what other ways you could use melted crayons for art projects, since you wouldn't need the help of a blow dryer or oven to melt them here right now. Here are some fun ideas I found. I've seen this a few times on pinterest but never noticed it was from an etsy shop! Wow! I love all the different color inspirations she uses and now Im just itching to make a peacock colored version of this. 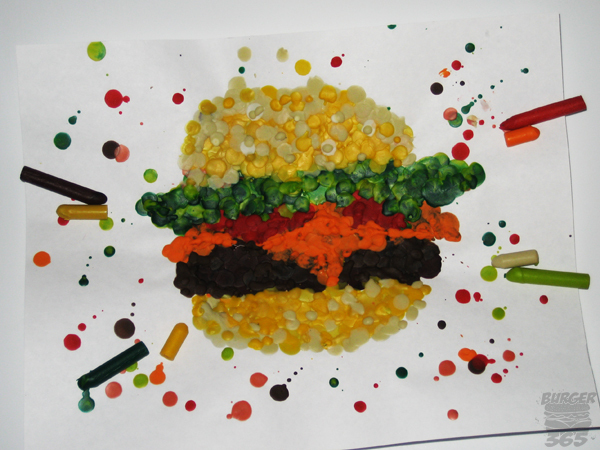 Funny, I just did a blog about doing crayon art!! 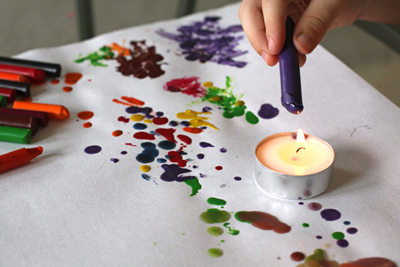 These ideas are so darn cute too! Ooohh...great post. Opens up some totally new possibilities for me. Can't wait to try this! Thanks! This is incredible! It is different from the one that I saw. This one looks much easier. I think I can now try this. That burger looks yummy huh? 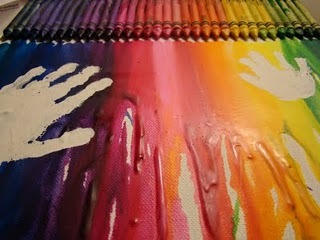 Lori, just wanted to let you know this post inspired this project http://helpinglittlehands.blogspot.com/2011/09/melted-crayon-art-and-pointillism-books.html that I just posted about on my blog today. Thanks for the inspiration!